President Faust’s statement only amplifies the moral inconsistency of Harvard’s continued investment in the fossil fuel companies that are devastating the planet and blocking climate solutions. On April 7, Harvard President Drew Faust released a statement on climate change and Harvard’s investment strategy. This news came after months of pressure from students, faculty and alumni who were disturbed by her initial rejection of demands for fossil fuel divestment. The demands were first raised in October 2013 by a new student group, Divest Harvard, which was part of a growing national campaign. Faust’s announcement—which introduces Harvard’s creation of a Climate Change Solutions Fund and commitment to the UN Principles for Responsible Investment and Carbon Disclosure Project—finally acknowledges Harvard’s responsibility for its investments. However, as members of Divest Harvard, we are deeply disappointed with the university’s continued failure to address the urgency of climate change. President Faust’s statement only amplifies the moral inconsistency of Harvard’s continued investment in the fossil fuel companies that are devastating the planet and blocking climate solutions. The first part of the plan commits $1 million to investment in climate research. This is an important step forward, but it cannot be taken in good faith while the university’s $32.7 billion endowment is simultaneously invested in the corporations that drive climate destruction, fund science denialism and manipulate the political system. Now that Harvard is committing to investing in solutions, the university must make a simple choice: invest in our future or continue to support its destruction. The science is clear, and the moral line has been drawn. 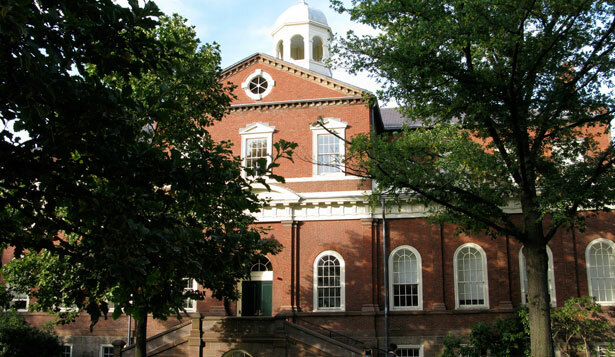 The second part of the plan is a recommitment to Harvard’s on-campus sustainability efforts, with a focus on the greenhouse gas reduction goals adopted by the university in 2008. The problem is that Harvard is not even on track to reach its 30 percent reduction goal by 2016. The effort is commendable, but not nearly as much as Harvard could do, and reveals an unwillingness to take a critical moral stand when it comes to fossil fuels. President Faust’s statement also lauded the fact that Harvard has become a signatory of the UN Principles for Responsible Investment. This point has come under fire from critics who point out that signing on to the voluntary PRI framework does not require actual change and is little more than a symbolic act. Symbolic or not, this move indicates that Harvard is finally recognizing the ethical and political significance of its investments with respect to climate issues. Thus, we are hopeful that the April 7 statement is an indication that President Faust may be ready to begin translating her words into action. Lastly, Harvard’s decision to sign onto the Carbon Disclosure Project—which combines shareholder power to push corporations to disclose greenhouse gas emissions—seems insufficent to move the fossil fuel industry. It’s highly unlikely that shareholder resolutions will force these corporations to respond to climate change. Only divestment and political action can achieve this goal. There are multiple examples in the past, including evidence from Harvard’s shareholder votes, that support these statements. Canyon WoodwardCanyon Woodward is the Campaign Manager for Chloe Maxmin for Maine House.